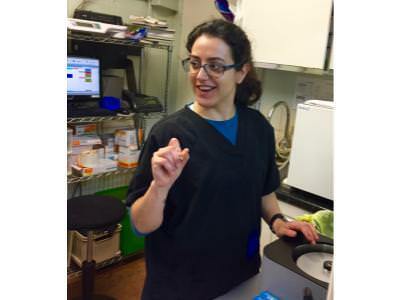 Robin has been the London Vet Clinic's super efficient operating theatre nurse since 2015. We want her to stay forever but her heart remains in Wales where Rhys her partner and she will eventually live. As well as working at the clinic, Robin joined Hugo and Stephen for 10 days in Greece on a spay and neuter campaign.